Yes – I’m still there! In case you’ve wondered whether I’ve got the blogging blues – nope, I don’t. I’d love to blog more at the moment, but unfortunately I can’t. Life’s quite stressful at the moment and I’m basically studying for finals and writing on my dissertation non-stop. 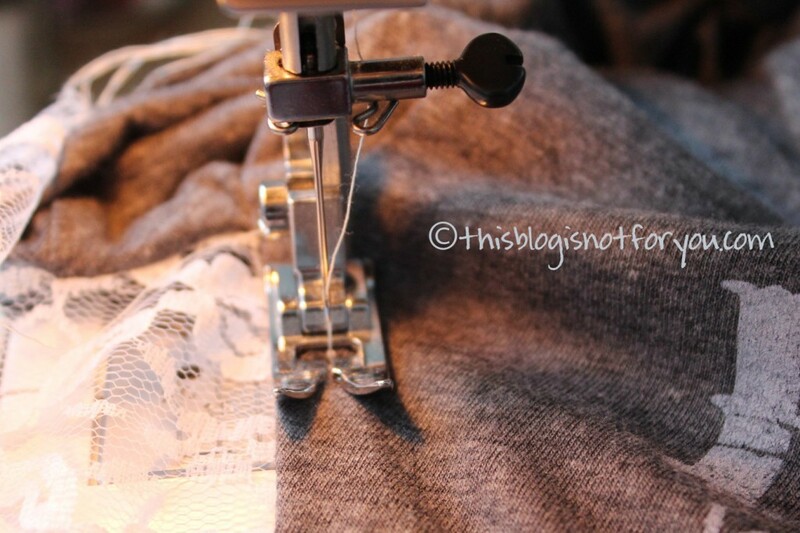 Nevertheless, I try to sew a seam here and there whenever I’ve earned me some sewing time after days of studying. 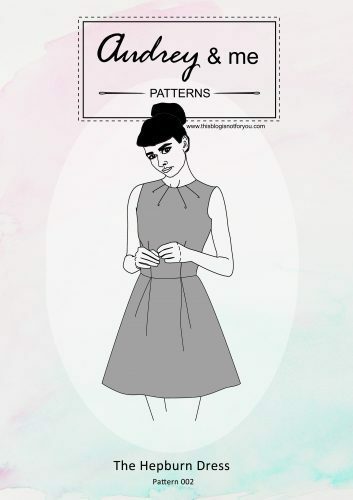 Not enough though for finishing the next dress for my 27 Dresses Challenge. 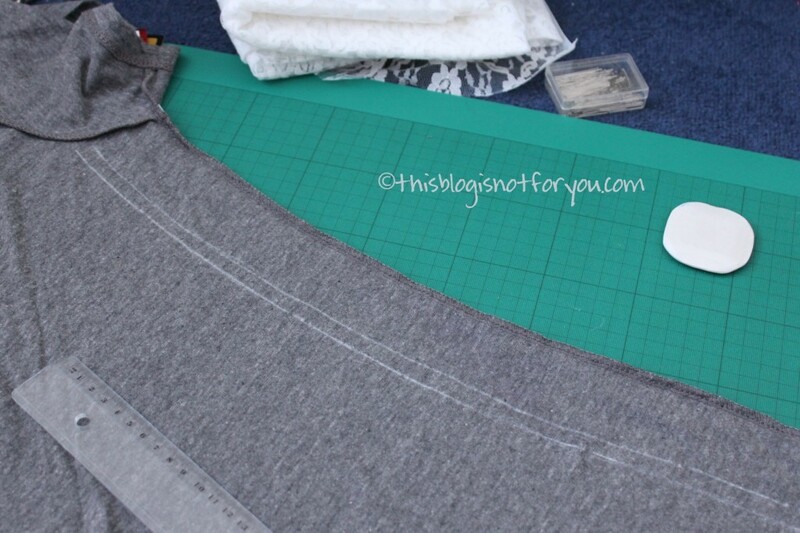 The fabric is all cut out and waiting for me to return to my sewing machine in a few weeks time. 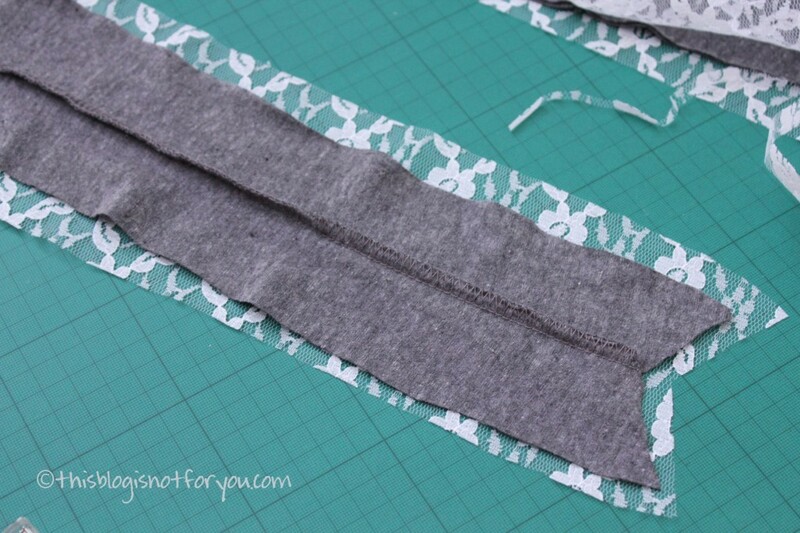 Don’t forget to think of the seam allowance before cutting of the sides. 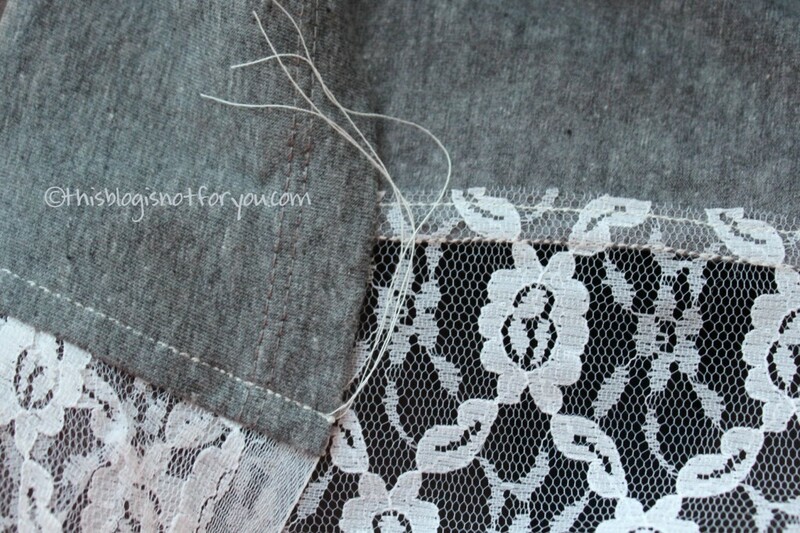 Add seam allowance to the lace part as well. 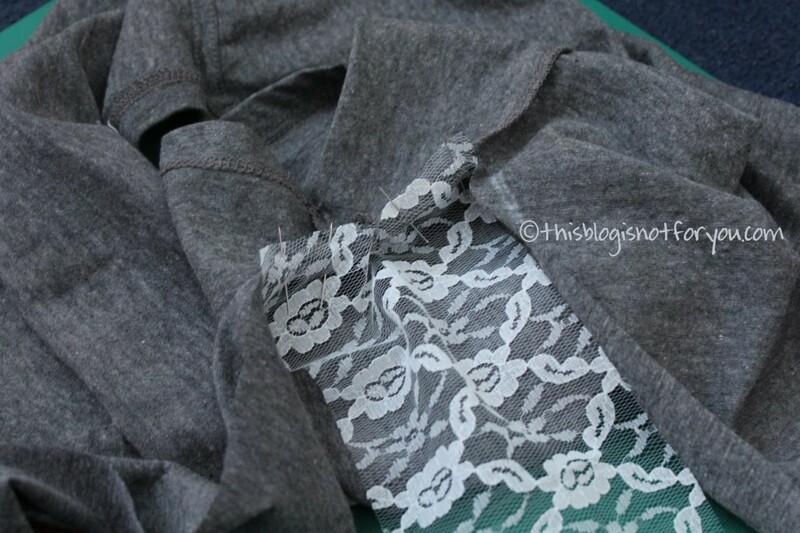 Start setting in the lace at the sleeves. 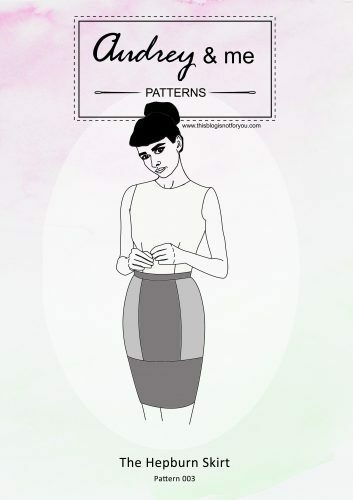 Use a straight stretch stitch. 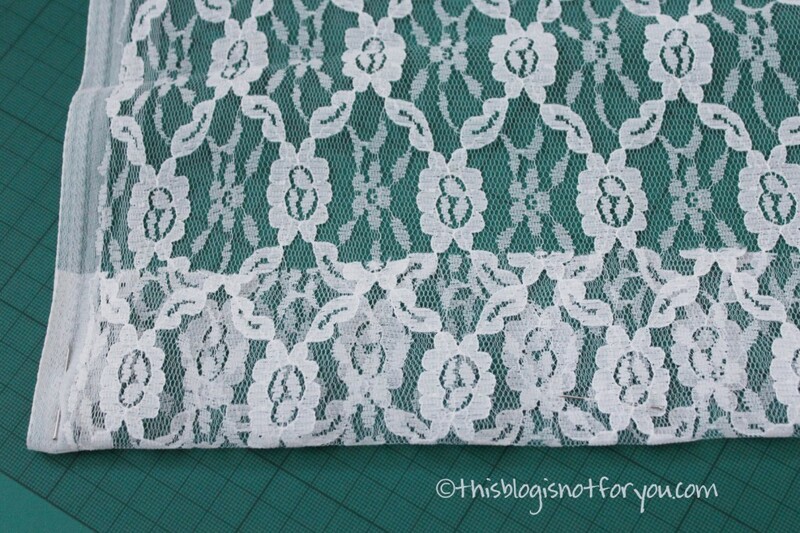 Topstitch approximately 0.5cm next to the seam to secure your seam allowance in place and prevent it from being seen through the lace. 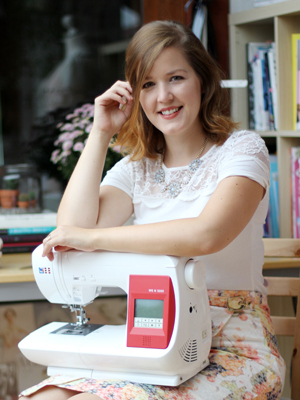 When topstitching, don’t backstitch. 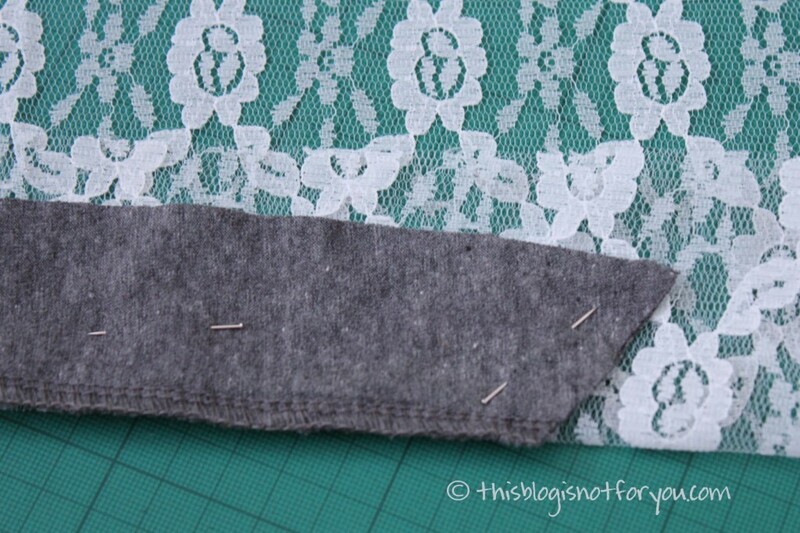 Instead, use a needle to pull the top thread through the fabric, then fasten with knots. 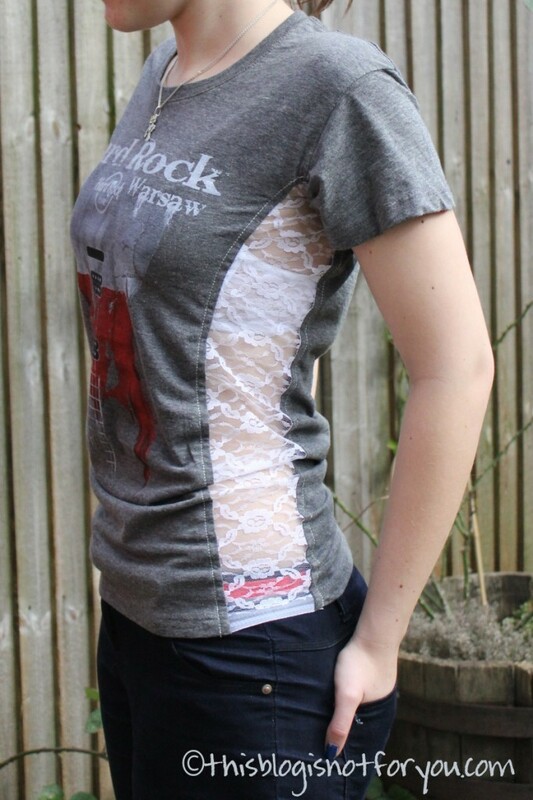 I think it really makes this shirt looking a bit more femine. Can’t wait for some hot summer days! Spring is back – and so am I.
I love this- such a cute change 🙂 great job! Hello! Nice to see you again, I was missing your posts! Congrats on being featured at Two Girls and a Party today!!! Super cute idea! 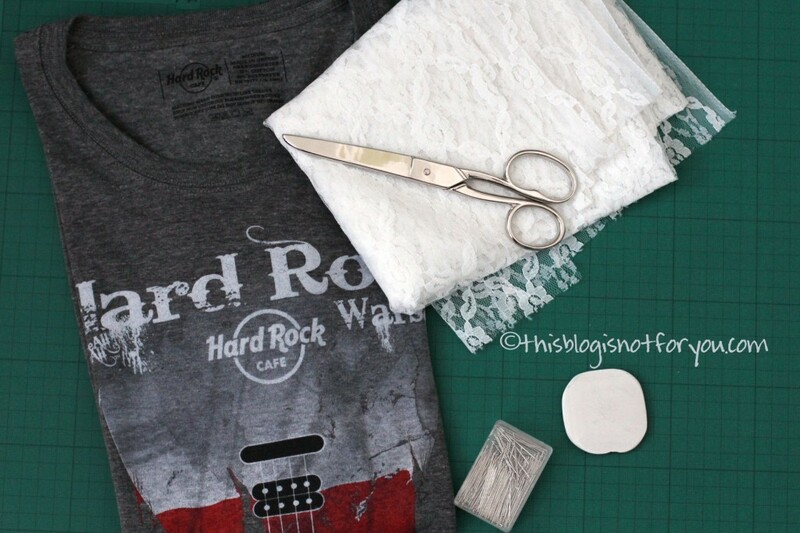 I have a long-sleeve tee that’s too small for me, and I think a treatment like this will be just right to save it. 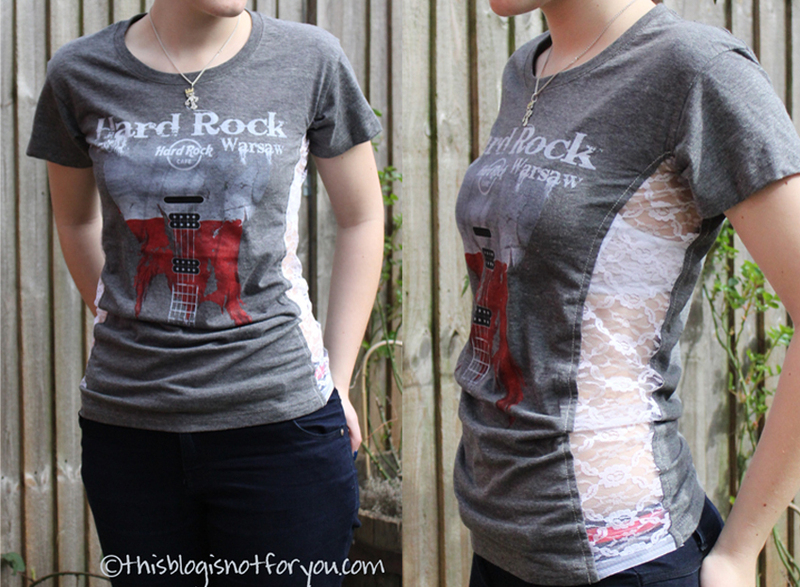 I’ve been looking for ideas for a t-shirt redo on the side seams. This is a great tip and a start. Great directions. Easy to understand. Super cute, I’m stealing!!! 🙂 Thanks! 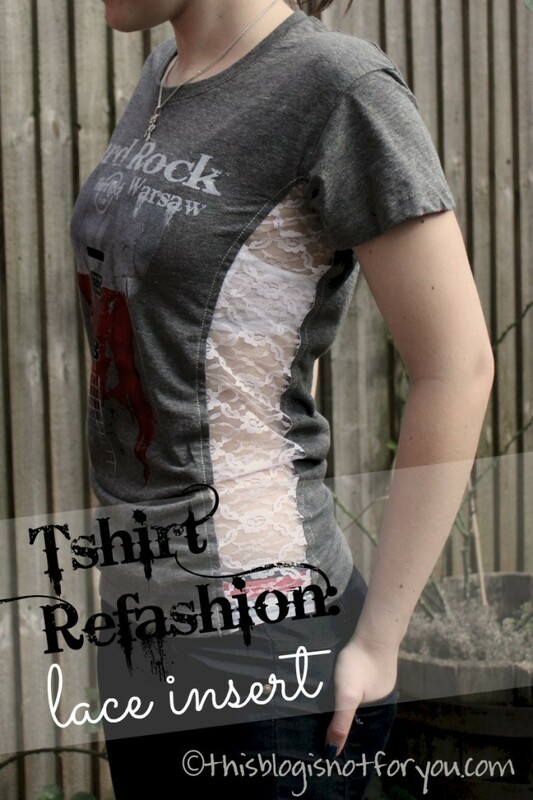 Refashion! Really interesting. Just awesome idea. So much creative. Wonderful change of the tshrit. I’ll definitely try this. Thank for sharing it with us. Not only a great idea, but very well executed! Love this! So so cute and a shirt saver! 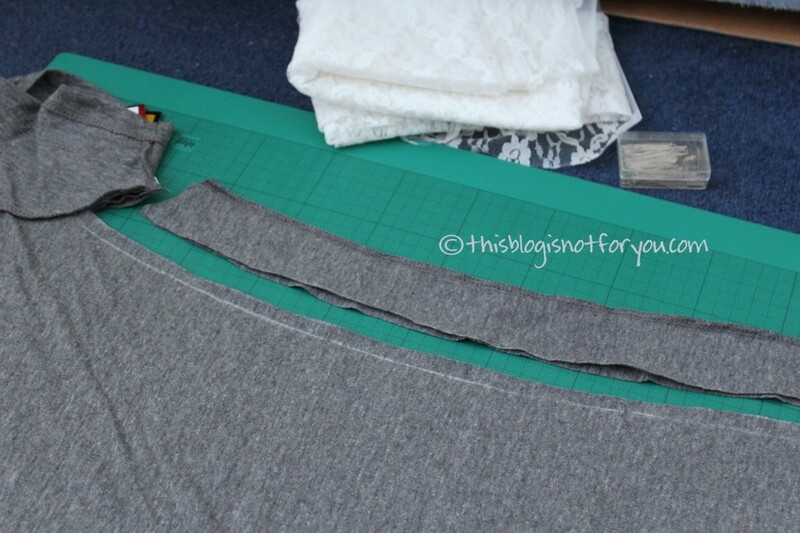 Unfortunately, I’m not a sewer….any chance this could be done without sewing, possibly with fabric glue? Probably a silly question but I have to ask!